With its versatile 18–55mm focal range and VR (Vibration Reduction) image stabilization, this lens makes it easy to create sharp, clear photos and videos. Remarkably light and compact, it’s an ideal general purpose ‘walk-around’ lens. It even captures fantastic close-up shots as close as 0.9-ft. from your subject. Optimized for Nikon DX-format D-SLRs, the practical and versatile AF-S DX NIKKOR 18-55mm f/3.5-5.6G VR was designed to cover the most frequently used focal length range of 18–55mm. It’s great for a very broad range of photo and video applications, from portraits to landscapes. Nikon VR (Vibration Reduction) image stabilization provides 3.0 stops* of blur free handheld shooting, ensures that all your shots turn out remarkably crisp, even when handheld shooting. 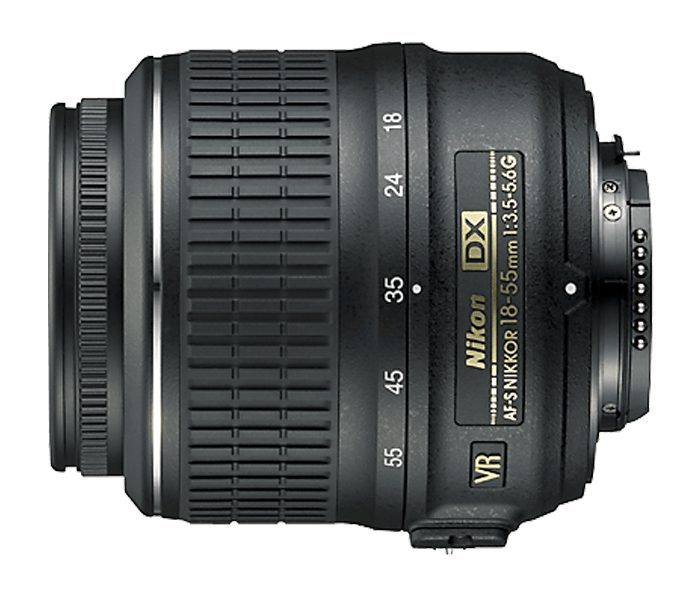 Like all NIKKOR lenses, the AF-S DX NIKKOR 18-55mm f/3.5-5.6G VR is engineered for performance. Nikon’s Super Integrated Coating (SIC) offers superior color quality and reduces ghosting and flare. A rounded, seven-blade diaphragm makes out of focus elements appear more natural, and a hybrid aspherical lens element minimizes various types of lens aberration. Expect vibrant, clear images and videos.